Artists across the world are taking a stand against Israeli oppression. But Bollywood, distant and disconnected from global cultural conversations, is fashioning a new relationship with Israel. Sometime last October, four Bollywood stars – Akshay Kumar, Kareena Kapoor, Madhuri Dixit and Shilpa Shetty – were scheduled to perform in Rishon LeZion, an Israeli city, at an event called ‘Bollywood 4 Ever’. “The production teams in India” cancelled the show at the last moment, the event’s website said, due to “personal constraints” – but it was slated to happen later that month. That didn’t happen as well. Since then, nothing more has been heard and by all accounts, it has been given a quiet burial. No reasons have been provided. The mysterious cancellation apart, Bollywood appears to be fashioning a new relationship with Israel – one that has been turning increasingly warm, but remains under the radar. The links first surfaced openly when the Israeli Prime Minister Benjamin Netanyahu visited India earlier this year. On the first day of the six-day trip, Daniel Carmon, Israel’s ambassador to India, inked eight Memorandums of Understanding and one of them was on film co-production. Two days later, Netanyahu met renowned Bollywood figures. The event ‘Shalom Bollywood’, held at the Taj Mahal Palace hotel in Mumbai, attracted such names as Amitabh Bachchan, Karan Johar, Prasoon Joshi, Madhur Bhandarkar, Ronnie Screwvala and Imtiaz Ali. 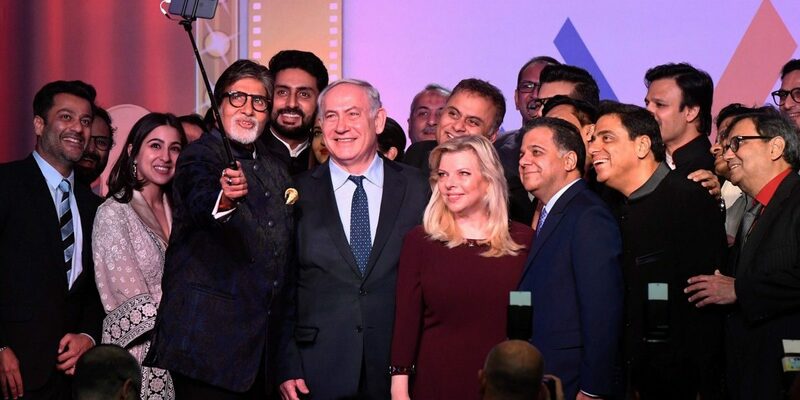 After expressing admiration for Bollywood, Netanyahu asked the stars to assemble on stage for a selfie – “like the one at the Oscars”. Netanyahu’s Oscar comment didn’t seem incidental. Two years ago, before the 88th Academy Awards, the Israeli government offered 26 Oscar nominees – Leonardo DiCaprio, Christian Bale, Jennifer Lawrence, among notable others – a ten-day junket to the country worth $55,000 each. No one accepted the offer, thwarting the government’s efforts to counter a 13-year-old Palestinian movement, Boycott, Divestment and Sanctions (BDS), which aims to challenge the “international support for Israeli apartheid and settler-colonialism”. When the West said no, Israel turned Eastwards. 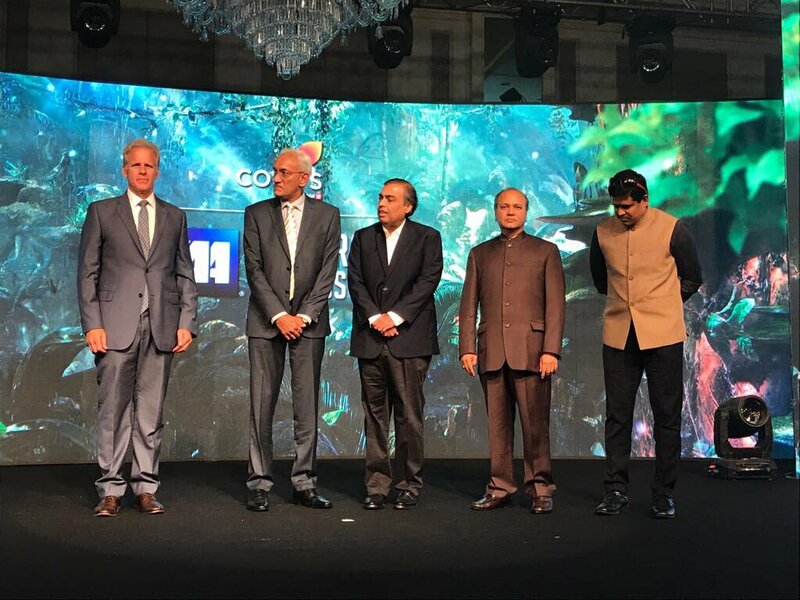 Four months before Netanyahu’s visit, the country’s deputy prime minister, Michael Oren, was in Mumbai, “inviting Bollywood [sic] to Israel.” There he met Indian film producers to accomplish two major goals: “create Israeli jobs” – Bollywood films usually do wonders for the host country’s economy – and “fight the BDS”. Two months later, a delegation from Bollywood (which included Ali), hosted by the Ministry of Foreign Affairs, landed in Israel. The Israeli government wanted to give tax breaks to the Bollywood producers, hoping to attract Indian tourists. These visits also got good media coverage. This looked like an unusual friendship. Israel, long criticised for violating the human rights of Palestinians, wanted to woo Bollywood – an industry that hardly takes a stand – for business and perhaps publicity and propaganda value. Some progress already seemed to be underway. In October 2017, a Bollywood movie, Drive, produced by Johar, was shot in coastal Jaffa and Tel Aviv, partly funded by the Israeli Prime Minister’s Office and the foreign and tourism ministries. Bollywood films, and its stars, are globally renowned and wield enormous influence. The industry’s close association with Israel, in such a case, worries Palestinian activists. “We shall campaign closely, including on social media platforms, with our partners in Indian civil society to ensure that filmmakers in India respect their moral obligation to do no harm to our struggle for justice and freedom,” said Stephanie Adam, a coordinator at the Palestinian Campaign for the Academic and Cultural Boycott of Israel. Artists across the world are taking a stand against Israeli oppression. Earlier this year in April, Natalie Portman pulled out of a major award, citing “depressing recent events”. A few months later, Germany’s Ruhrtriennale arts festival dropped the Scottish hip-hop trio ‘The Young Fathers’ for supporting the BDS movement. That prompted several renowned filmmakers – including Ken Loach, Mike Leigh, Aki Kaurismaki – to write an open letter denouncing the festival’s decision, which, in turn, resulted in Ruhrtriennale re-inviting the group, even encouraging them to support the BDS on-stage. In September 2018, bands, musicians and DJs dropped out of the Meteor Festival in Israel; Lana Del Rey postponed her appearance. But Bollywood seems to be distant and disconnected from these cultural conversations. Just two weeks ago, news surfaced about a Bollywood film, partially funded by the Israeli government, to be shot in Jerusalem. In the same week, the International Film Festival of India, organised by the Ministry of Information and Broadcasting, screened ten Israeli films as part of the country-focus feature. The festival also honoured an Israeli filmmaker and writer, Dan Wolman, with the Lifetime Achievement Award. “Israel is the exact opposite of you,” said a young Palestinian, in a recent YouTube video, to Bollywood filmmakers. “There are plenty of other doors to knock, other countries to shoot in, other relations to build – that will be more useful.” Bollywood has typically defined “useful” in self-serving, narrow terms. It now has a rare chance to look beyond the bottom-line.